Take a Network Break! 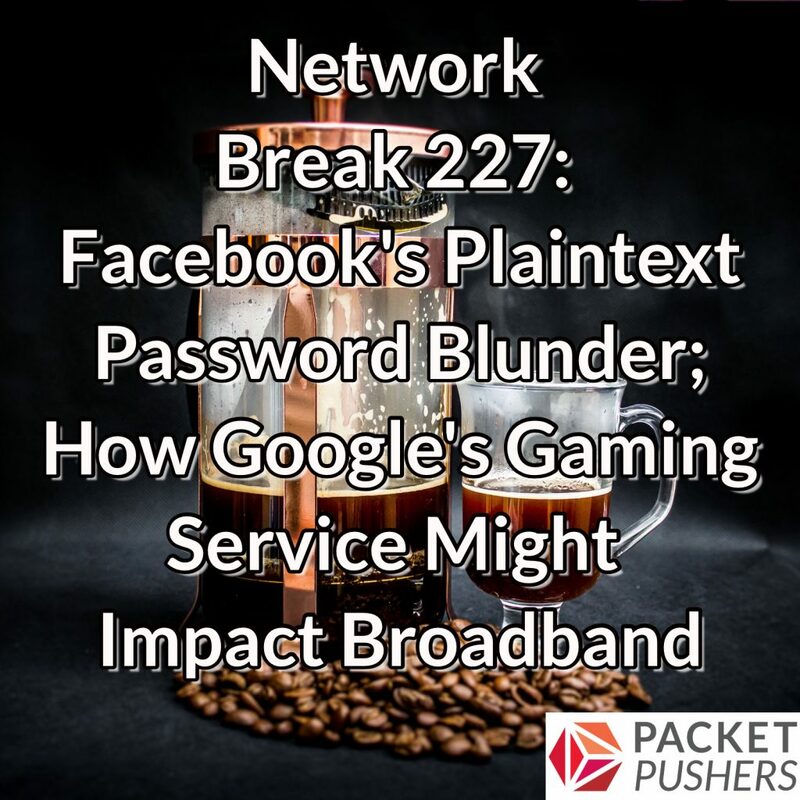 Facebook stored millions of user passwords in plaintext and made them accessible to thousands of employees, Nokia sinks significant money into IETF sponsorship, and the Ethernet Alliance moves forward on Single Pair Ethernet. Google announces a new streaming gaming service, but bandwidth requirements may strain broadband connections, the open-source Putty project releases a new version of the software to address eight critical vulnerabilities, and Huawei becomes a certified hardware partner for Nutanix. VMware and Dell EMC partner on hyperconverged infrastructure, Dell EMC tops the global server market while Huawei notches impressive growth, MySpace loses massive volumes of user files and it takes months for anyone to notice, and a network admin takes the password to a core switch to his grave. Join over 300 WAN professionals at WAN Summit, April 8 and 9th in NYC. Meet your peers to find out how they’re meeting network challenges, and how they’re readying the WAN for cloud and data center migrations. It’s just $99 to attend and listeners can get -20% off with the code PACKETPUSHERS when they register for New York. Go to WANSummit.com for details and to register. Stay tuned after the news for a sponsored conversation with Nubeva. We’ll discuss the newest features in Nubeva’s cloud packet broker, Prisms, and how you can get packet-level visibility into your public cloud deployments.